In “Dancing with a Stranger,” Sam Smith and Normani beautifully represent finding peace in pain, even if only for a night. Sam Smith is undoubtedly a megalith talent, and arguably one of the best vocalists of the modern age. His mesmerizing falsetto enraptures listeners regardless of his songs’ themes – love, loss, or anything in between. His ability to seamlessly oscillate between feelings of affection and heartbreak further showcase his unmatched talent, with songs like “Stay with Me,” “Latch,” “Lay Me Down,” “Too Good at Goodbyes,“and a plethora more exhibiting his diverse storytelling prowess. Smith can easily denote one’s most human feelings with ease, and within just minutes. 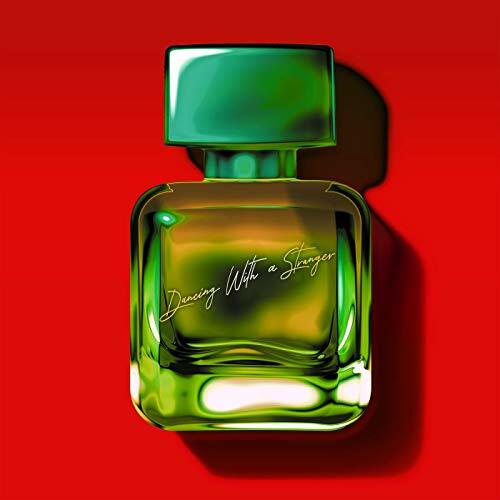 “Look what you made me do, I’m with somebody new; oh baby, baby, I’m dancing with a stranger,” Smith achingly croons in the chorus of his latest single with Normani, “Dancing with a Stranger.” Together, Smith and Normani explicate intense loneliness through catchy pop hooks, mirroring the song’s overarching narrative of dancing through the pain. Navigating a recent breakup can oft be a difficult situation to work through. How does one move on, especially if the emotional connection and inescapable feelings are still prevalent? One solution that many opt to do is to go out and rebound, to find a temporary solution to a long-term problem. A fleeting affection can feel better than no attention at all, even if there is no real attachment at the end of it all. Particularly, if one feels blindsided by the heartbreak, the biting “look what you made me do,” in the chorus feels especially poignant – this wasn’t what was wanted, yet it’s become the inevitable. This harbored pain can only be eradicated by distractions, and what better distractions than strobe lights, loud music, and a dance floor crowded with unfamiliar faces? Normani and Sam Smith both seek consolation in these ways, tempting their impulses and indulging in situations in which they are not comfortable. They are aiming to rediscover themselves, and in doing so, discover new connections. Dancing one’s troubles away can provide some sort of reprise from reality, as the pulsating beats and flashing lights deflect any real feelings consuming one’s mind. “Dancing With A Stranger” remains true to Sam Smith’s trademark sentimentality within his music, perfectly marrying veritable lyricism with infectious instrumentation. The song’s authenticity in representing ubiquitous solicitude, particularly for those who are recovering from a broken heart, is steadfast in its emotional intrigue, offering sympathy without risking being hackneyed. “Dancing With A Stranger” beautifully represents finding peace in pain, even if only for a night.